Whiplash is a term, used to indicate a traumatic event that has affected the cervical spine. The trauma consists of a rather abrupt movement of the neck that exceeds the normal limits of joint mobility. If you have suffered a whiplash neck injury, you might be entitled to damages and reparations. Since this type of injury is usually auto related there are different ways you can seek damages. First of all, the injury must be legitimate and verified by a physician. This will entail documentation, doctor’s visits, and possibly rehabilitation. Secondly, you must have a witness that can testify on your behalf. This type of injury occurs when your car is hit from behind. Even if your seat belts are on, the impact can force your neck to unwillingly move forward. It can also move to the side, resulting in undesirable pain. You can proceed with the lawsuit if all checks out. The governing of such cases is very intricate, to prevent fraudulent insurance claims and frauds. This continues to be a common injury, suffered from auto related accidents. If not treated in a timely manner, it can result in extensive head, neck and even spinal cord damage. If your regular physician cannot assist you, he or she will certainly refer you to a specialist. Injury doctors can facilitate your needs within time and budget. In addition, they can even provide pertinent information that can help your case. Although car accidents are a major cause, whiplash neck injuries can occur at any time. There are certain sports that can produce this painful injury. Football requires the neck muscles to consistently be in motion. From passing to receiving, you utilize a great deal of upper body strength. You are also constantly in motion, with your head moving from left to right. Weightlifting is also another way you can injure your neck. Many lifting exercises require the neck to exert a lot of strength. There are even neck lifting exercises that can be truly harmful. You must protect your neck at all times to prevent these mishaps. Wearing a neck or head guard can safely protect you at all times. In the event of an emergency, you should seek immediate care. If it happens to a friend, and he or she is not mobile, contact an ambulance right away. Try not to move the person, as you do not know the extent of the damage sustained. It is hard to believe, but a whiplash neck injury can even happen while you sleep. Any sudden neck turn or movement can possibly result in this injury happening. At times, we tend to forget how tender and sensitive our necks really are. They not only hold our head, they manage a great deal of weight and serve as a foundation for our body. It is always important to safeguard the neck when driving, sleeping, or especially playing sports. A whiplash neck injury may require extended hospital visits. Depending on its severity, you might even need to stay in the hospital for some time. If the doctor allows you to go home, it is usually accompanied by a stringent set of medicines, exercises, or instructions. To prevent further whiplash neck injury, you must follow the doctor’s orders accordingly. A neck brace is usually worn to counter a whiplash neck injury. This secures the head with limited mobility, allowing the injury to heal within proper time. This injury can range from very mild to extensive. The only way to receive proper treatment is by visiting a physician or neck specialist. As a first therapeutic act, rest is recommended, trying to limit the movement of the head and neck. To this end, the orthopedic collar that immobilizes the cervical tract is often applied. 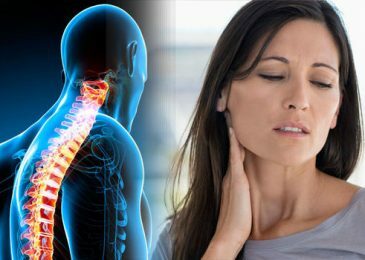 Since the whiplash symptomatology is very similar to cervicalgia (cervical pain), it is important to take precautions that protect the neck from daily stresses. In addition to checking the positions taken during the day, a regular physical activity program helps to prevent, andit improve, the symptoms of cervicalgia. Some targeted exercises such as postural, column mobilization, coordination and stretching have a beneficial effect. Adjust the headrest by positioning it so that the top is about five inches above the top edge of the ear. While driving, keep your back firmly resting on the seat; torso and head must remain straight because if the back and the head are curved forward the distance between the occiput and the headrest will be too high to protect the head from hyperextension; for the same reason, if the headrest can be adjusted forwards and backwards, place it so as not to exceed 6 cm of distance from the occiput. In risk-of-crash situations (fog, traffic lights, etc. ), take the precautions required by the Highway Code (headlights, rear fog light, arrows), avoid heavy braking, etc. In the event of a whiplash, immediately contact the nearest emergency department, both to verify the absence of bony and ligament lesions, and to have a useful document if insurance claim is required. Keep in good health by practicing regular physical activity; in a way the cervical musculature will acquire strength and elasticity protecting this area in case of trauma.